If you don't know the ins and outs of London's food scene like the back of your hand, you might not necessarily have heard of Danny McCubbin; but if you or your kids were chowing down on school dinners around 2005, you'll certainly have felt the effect of his hard work. Danny has been a key player at Jamie Oliver HQ for 15 years, playing a crucial role in the School Dinners programme and Jamie's Fifteen apprenticeship scheme. These days he acts as Jamie Oliver's culture manager, helping to bring Jamie's food ethos to life across the business. But, while his day-to-day job certainly has a corporate edge, Danny actually spends most of his spare time looking after charity projects. 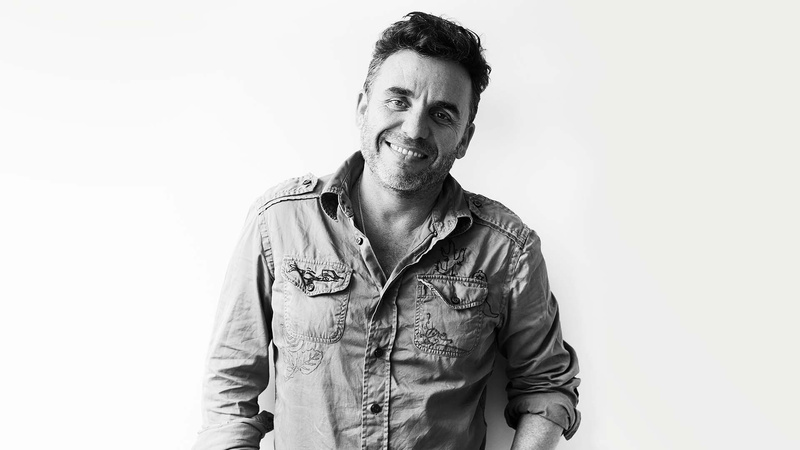 About five years ago he became the UK ambassador for Italy's San Patrignano, the world's most successful drug rehabilitation community, and this year he joined the Young British Foodie judging panel, helping to create a whole new category, which recognises social enterprise initiatives and individuals using food to do good. How did you get into food? Is there a story there? I grew up with good food knowledge and knowing where food came from. I'm from Australia and my grandparents are farmers. I remember we didn't have supermarkets when I where we lived, so everything we ate was local or from the farm. In Oz, food is a way of people connecting and reaching out. All my family cook and I just have really good memories of food. Tell us about working with Jamie Oliver on major campaigns like Jamie's School Dinners and the Fifteen Apprentice programme. I was really lucky in that I knew Jamie's art director from Australia and I had experience in project management and digital media. I started working for him as a bit of an all-rounder, then his PA left and he asked me to step in. I did that for four years and it was when we'd just started the School Dinners campaign. That was an extraordinary time and it just felt like the cameras were second nature. They weren't really that important; what was really important was how we were going to get this campaign off the ground. But when I started, we had also just graduated our first set of apprentices from Fifteen. The apprentice program and the Fifteen restaurant is not-for-profit. Fifteen used to focus on unemployed youth, but now the focus is on just giving young people an opportunity, no matter what their background. Fifteen Cornwall is still a charity, too, and it still trains hard-to-reach young people in both front-of-house and back-of-house roles. Fifteen London is where it all started though, We're still not-for-profit and we are now part of a national apprentice program where big businesses invest back into apprenticeships. My job is obviously involved in the commercial side, but I'm also connected with Jamie's core ethos around food. Friday's are my community days. I work four days a week for Jamie as his culture manager, then Friday is my day where I invest in all of my community projects, such as San Patrignano and the YBFs. Am we right in thinking you hosted the first Cook for Syria cookbook shoot at Fifteen? Yeah, so I know Clerkenwell Boy quite well and he has been a great supporter of Fifteen. When he was getting the Cook for Syria project off the ground – because I've got a background in community and social enterprise and Fifteen – I offered to help as much as I could. I think it's an extraordinary project that he and [co-founder] Serena Guen have started. Most of the photography for the book was shot above Fifteen and then we also hosted the supperclub and thank-you lunch for the contributors. It was really wonderful to host that, because the restaurant is really a beacon for other great community-based projects as well. What do you think is the best way to communicate that food can be used as a tool for good? I definitely think that with the way the world is now – and you're going to have to mention Trump and Brexit – we're in a challenging place at the moment with the refugee crisis and the rise of popularism etc. Food is a way of breaking down barriers and a way of connecting. It's the one thing that we all have in common, no matter what country you're from, no matter what your background, everybody needs to eat. The food industry has changed drastically in the last ten years. There's this whole push for a term called 'social gastronomy', which is the social side of food. 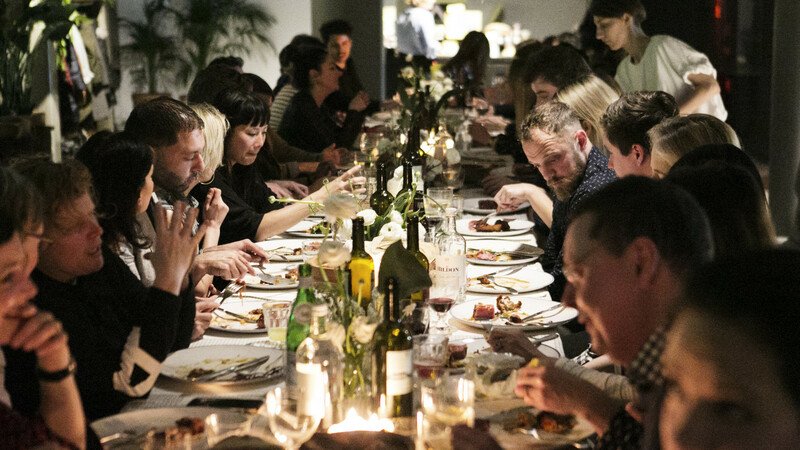 Do you know about Massimo Bottura's Food for Soul project? That's extraordinary. I took a group of chefs from Fifteen to Earls Court where they have the Refettorio Felix project. He's making waves world-wide. At the Rio Olympics, he also worked with a friend of mine called David Hertz (Gastromotiva) and they cooked all the surplus food and served it to the homeless people of Rio. We're living in a time where no one can tell us not to waste food, but then there's this huge dichotomy. There's people that are still going hungry, but we are actually wasting so much. I think that's another area where food is just a vehicle for people to stand up and feel like they're doing something right and making a difference for want of a better phrase. How did your involvement in the San Patrignano UK cooperative come about? And what does the cooperative do? 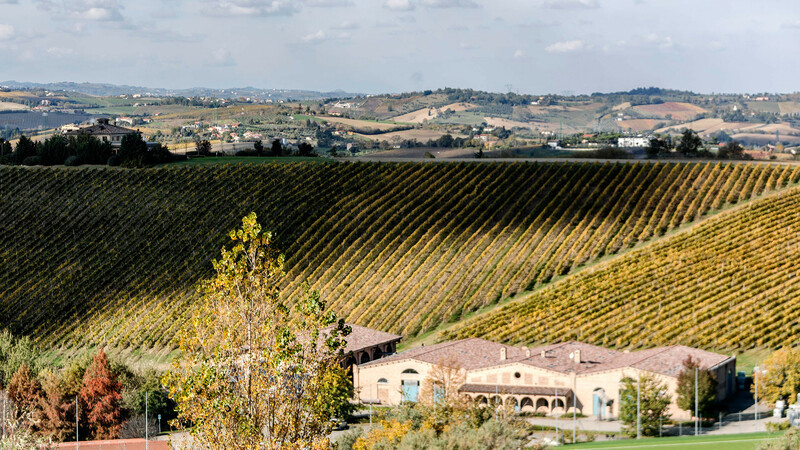 San Patrignano is based in Italy and it's one of the world's most successful drug rehabilitation communities. It has 52 different skills that young people can get involved with and learn to turn their lives around. And food, because it is Italy, is a big part of what the community does. 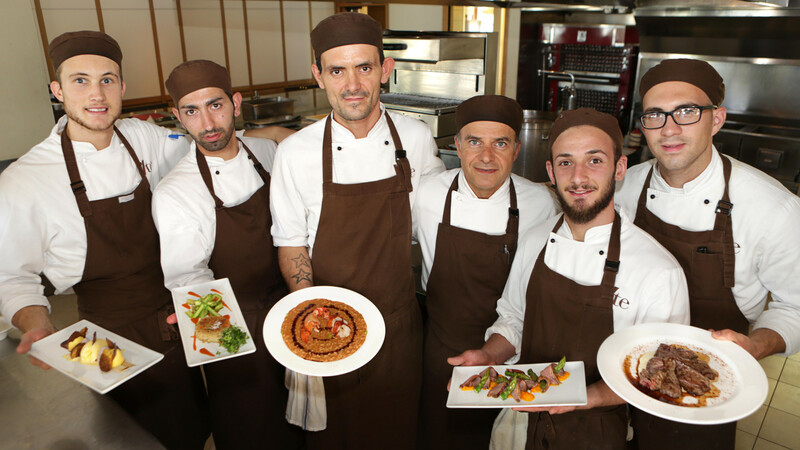 Around seven years ago I was going on holiday, and I just reached out to the team in San Patrignano, and said I would love to come along and eat at one of the restaurants. It's similar to Fifteen where they train young people from very challenging backgrounds, and they invited me to come and learn more about the community. I went there and I was completely bowled over by the scale of it. There are 1,500 people in the San Patrignano community and there are so many different skills that they learn, but it's just the sheer positive impact it has had, too. It has a 72% success rate. Most of the young people have been affected by heroin. But this is a long-term, free social enterprise. Residents' stays are usually three years. I started volunteering for the community, learning about it and spending all my spare time there. About six years ago, I got all the products into Selfridges. Then about three after that, the community asked if I could set up an association here in the UK, which I did. I help people from the UK who are dependent on drugs, who want a long term solution to go to San Patrignano and I also help the young people from the community who are coming to the UK to find jobs. We have a lot working at Fifteen and at Jamie's Italian as well and on top of that I've got the products into Fortnum & Mason. People are starting to know more about San Patrignano. The cooperative has opened its doors to people all over the world. It's really a beacon for rehabilitation and they now run forums where people who are involved with similar schemes can come and live in the community for a week to learn about how it works before going back to their country. People are starting to hear about it through the products San Patrignano makes as well. Fortnum and Mason have the wine, we have the wine here at Fifteen, and they are about to launch in Jamie's Italian as well. Fortnums has been a wonderful supporter, and we even took the CEO over there. I think it's quite interesting how a rehabilitation scheme gets people to make wine. Traditionally rehab and rehabilitation communities are based on abstinence and the twelve steps. But this place is extraordinary in the sense that they say "Look, you've made a mistake – come here learn how to deal with life again." It's just really one of the most significant turning points in my life being involved with that community. They are great people doing great stuff. This is the first year you've been involved in the Young British Foodie awards. Are you excited to join the judging panel? Absolutely. I love their whole ethos. 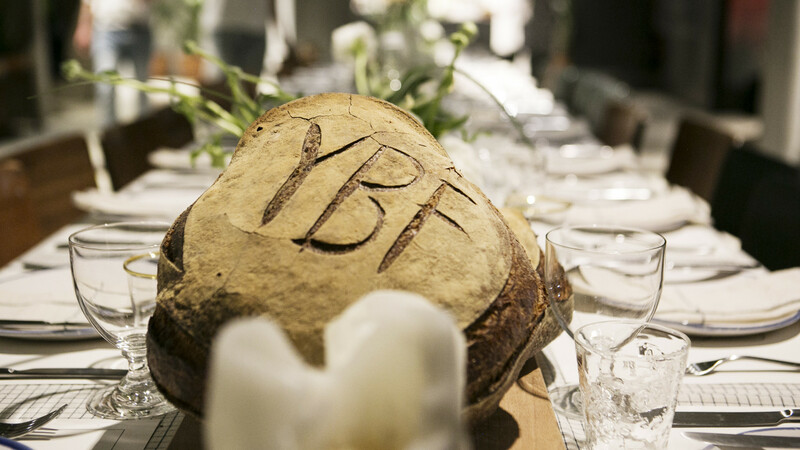 The YBF awards are not about age, they're about emerging talent. I love the way that the awards are able to adapt as well. Taking on the new 'Giving Back' category shows how open they are. I think there are some incredible food-based projects in this country, but no one really shouts about them and they're not really given the space. There's a lot dedicated to food waste, which is great, but no one is really highlighting the others. I think it's time we did. Sometimes we're a little bit humble in the UK about these projects. That's why with the YBFs it's a really great fit and it's great that we could start this new category. Can you name some amazing social enterprises using food to do good in London? There are so many. Have you heard of Migrateful, Luminary Bakery or Second Shot in Bethnal Green, which trains up homeless people? I just think these are wonderful projects that are breaking down barriers, but also giving homeless people, victims of abuse, refugees and immigrants a way to get paid for what they're doing. One of my favourite social enterprises is House of St Barnabas. It is a private members club, but all of the staff are vulnerable people. They're mostly homeless, but everything in the private members club is geared towards training up these vulnerable people and putting them through a 12-week hospitality course, which is recognised by City & Guilds. What I love about that is it's similar to San Patrignano. When you go to San Patrignano it's not this meagre little place where everyone just sits there and does remedial jobs; it's actually a very beautiful community, too. With House of St Barnabas, you would assume that a private members club would be exclusive, like Soho House or whatever – and it is – but it's also there to break down the barriers. Your waiter might be someone who was on the streets two weeks before. Nominations for the 2018 Young British Foodie awards are now open, click here to find out more.